Ho, ho, ho, kiddies! 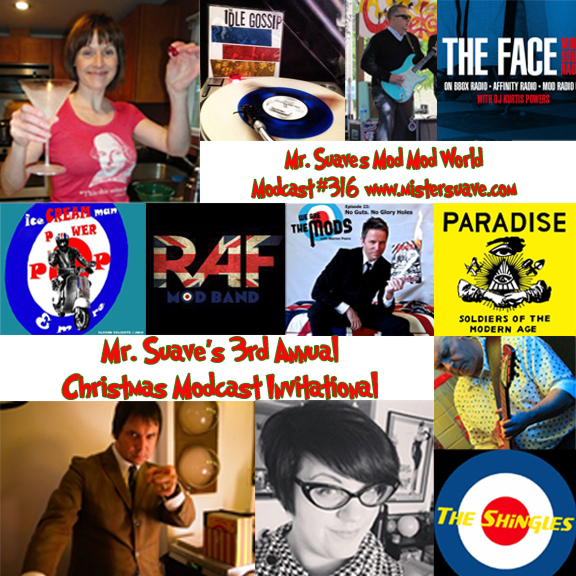 It's time for another installment of the now annual Christmas Modcast invitational. That's right, as with all my VIP soirees this one is by invite only. I sent out a limited number of invites and moddoms publicity whores gobbled 'em right up. So, this year, you're going to be treated to a merry mix of seasonal sounds from all manner of podcasters, bloggers and musicians. You'll hear from the kingpin of mod opinion-makers, Warren Peace of We Are The Mods, who's contribution proves that all a good fade takes is a steadily fiddled knob. And from the long reigning queen of mod podcasting, the one and only Penny Lane from Punks & Parkas. 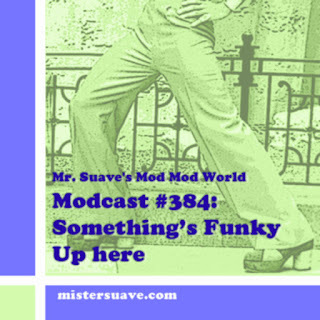 Also on board is the prince of power pop promotion, The Ice Cream Man; mod music maven, Modification's Melvyn Fickling, Mr. style and sophistication himself, soul dj Parka Pat; the mod world's favorite guest host, Ken from The Shingles, plus season's greetings from Paradise, The Idle Gossip, RAF, and The Inciters. Finally, rounding out the show is a really fantastic spoken word essay from Mary Queen of Cosmos. Not to be missed. Trust me. Check out last year's show here.